When John Busch, whose family operates the adjacent Busch Funeral Home, indicated his desire to see their woodland property along Big Creek preserved, Parma Mayor Dean DePiero suggested to him that West Creek Conservancy (WCC) might attempt to acquire the grant funding necessary to purchase the property. 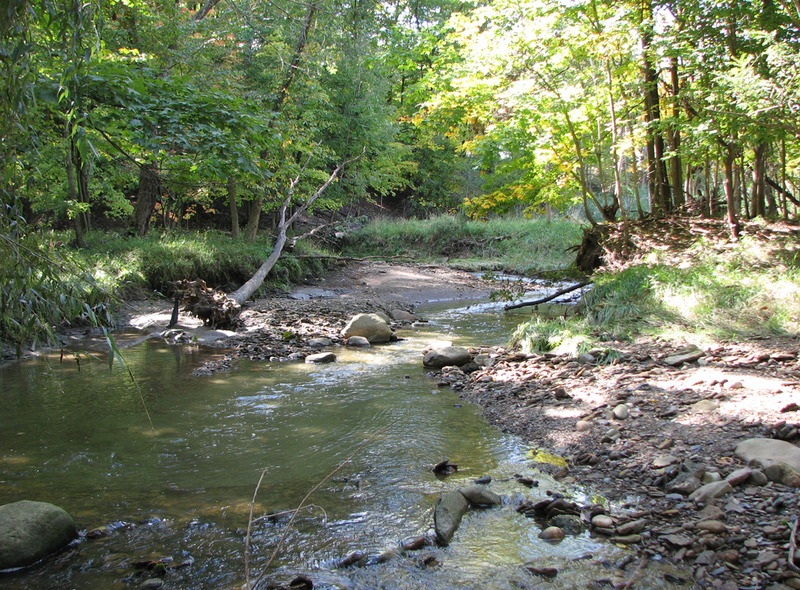 Recognizing a welcome opportunity to conserve and restore a natural area with significant potential benefits for residents and for Big Creek, WCC successfully applied for a $148,000 grant from the Clean Ohio Conservation Fund. The City of Parma and WCC then obtained a $50,000 grant from the Land and Water Conservation Fund; an additional grant from the Clean Ohio Fund brought the total to $346,000, allowing for completion of the project. By adding the 13.7-acre Busch Family Conservation Area to the adjacent woodland already owned by the City of Parma, West Creek Conservancy, Parma, and the Busch family completed the preservation of 55 acres of natural greenspace at the southeast corner of the intersection of Ridge and Pleasant Valley Roads. Threatened for many years by stormwater runoff, the erosion from increased storm surges, and sedimentation from residential development upstream, over 2500 linear feet of Big Creek and one of its tributary streams are now protected. This natural public area, long known to local residents as Snake Hill, is now available for low-impact recreation. An October 28, 2009, dedication marked the culmination of the successful partnership. This entire parkland is now owned by the City of Parma and protected with a conservation easement held by WCC. The woodland also includes green open spaces for area residents to enjoy. “The park belongs to the people,” said Mayor DePiero at the dedication, “and that’s the way it should be.” The area can be accessed via an unmarked hiking trail that starts at the back of Parma’s Sandy Hook Playground off Sandy Hook Drive (west of State Road). A number of unmarked hiking trails are available on the site.